Body Tracking & Creative Kinesiology | The skill & art of tracking the body, a healing therapy that restores balance and harmony. 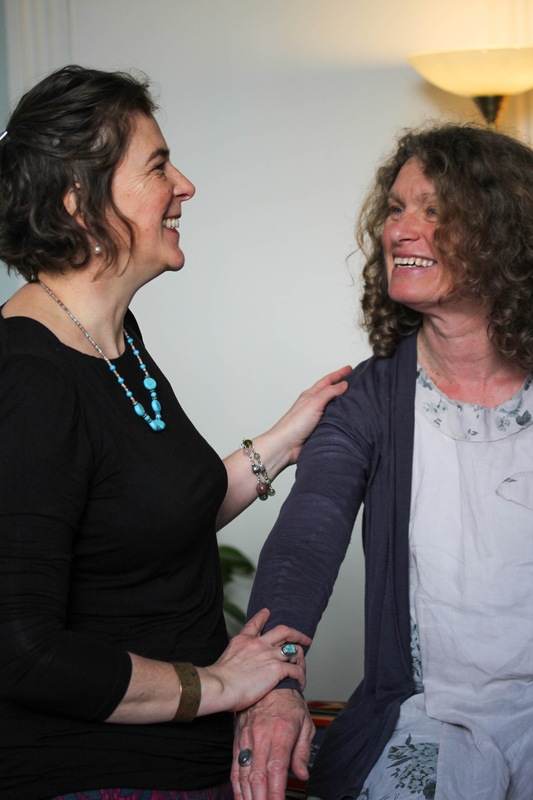 Body Tracking offers help to people wanting to explore their symptoms, to ‘track’ into the root of an issue to assist in bringing release and healing. When we discover the cause of our symptoms; where they are rooted in our system and why they have originated, we then have the pieces of the jigsaw we often need for healing to take place. Tracking or muscle testing, is a gentle non-invasive way of getting a direct feed-back from the whole body. All levels are addressed, physical body – mind – emotional – nutritional – ecology – energy systems – spirit – soul. Through communicating via the muscle you can by pass the part of your brain that thinks it knows what it is all about and access the ‘other’, wiser parts of yourself. It is a science and an art form, a blend of ancient Chinese 5 Element medicine, with its understanding of meridians (energy pathways) in the body, and modern Chiropractic, with its knowledge of muscles and bones and how they move. This is a deep working approach, and can help to overcome deep seated, emotional, physical and energetic patterns which can manifest as aches and pains, illness, frustration with life, depression, lack of confidence, low energy states and a lack of fulfilment or purpose. Kinesiology is an excellent method to help uncover underlying issues and can assist in releasing tension, trauma and stress that may be carried in the body’s systems. During a treatment we work together through verbal testing to communicate with your body and discover the triggers to produce effective healing. This approach acknowledges that we are made up of our stories – our life experiences contribute to who we are today. Not all of our past is helpful or supportive, by releasing these unwanted or unhelpful results the body, mind and energy systems are able to find new zest for life and become open to potential. ChaNan Bonser (ACKRP, KFRP) is committed to the Creative Kinesiology Association’s (CKA) Code of Conduct as well as being a member of the BCMA (British Complementary Medicine Association) and the Kinesiology Federation. It is also a condition of the CKA that registered practitioners and teachers undergo mentoring sessions, personal sessions and Continuing Professional Development, this ensures that her work is always growing and she is continually searching for ways of expanding her knowledge to ensure she works to the best of her capability.